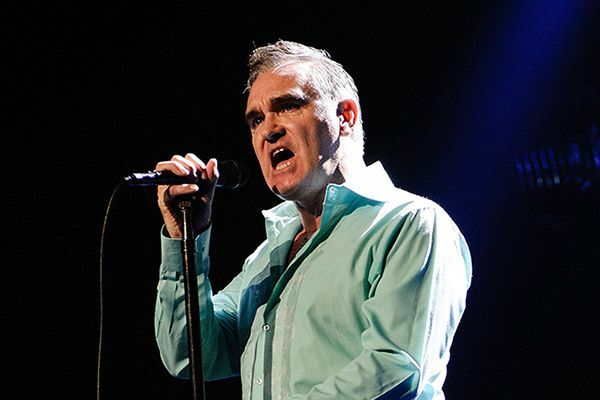 Morrissey, leading world authority on morning sickness, blames “the arrogance of the British royals” (not prank-calling DJs) for the suicide of nurse Jacinta Saldanha. “Is it anorexia or is it pregnancy? I mean, morning sickness already?” asks Morrissey, who has neither medical license nor uterus. When you say morning sickness can’t happen now, well, when exactly do you mean? I love Morrissey, but I hate when people forget the sagest adage when it comes to being suspicious of other people’s medical conditions: You can’t really dust for vomit. So shut it. • Margo Martindale joins the cast of The Americans on FX with executive producer Graham Yost. Ain’t nothing but a Justified reunion party. Mags Bennett never stops bailin’, as she will now be playing a KGB illegal. • Don’t tweet checks your wallet can’t cash: Discount supermarket chain Lidl hosted a viral campaign in Belgium promising to deliver five four-course dinners to food banks for each tweet marked with the hashtag #luxevooriedereen, and things went a little more viral than they expected: Lidl will be handing out $260,000 of tomato soup, vol-au-vents, ice cream cake, and chocolates. Here comes Sinterklaas! • Also filed under viral: John McAfee — anti-virus pioneer, former friend of Vice magazine and bath salts enthusiast — is being deported from Belize back to the U.S. Just in time to start a blog campaign to get Jeff Bridges to play him in the biopic (I have a feeling his vocal blog audience is not going to endorse casting Danny Bonaduce). • It’s caiman-lassoing season in Puerto Rico. Lines like “people taught themselves the trick to hunting caimans, sometimes learning from others how to rope them in and tape their mouths shut,” and “killing them is tedious labor […] Montanez and three of his grandsons caught a 2-foot-long (.6-meter) caiman from the tank and spent an hour cutting and cleaning the body” lead me to believe it’s only a matter of time before we’re living in the horror movie Payback: Revenge of the Caimans. I want Jeff Bridges in that one too. • “Smart meters” are spying on you. • 12/12/12 is Anti-Doomsday, so you should probably go drop $5,700 on a ticket to the Sandy benefit concert. You won’t need that money in nine days when Earth makes sweet apocalyptic love to Nibiru.